Acana Heritage Senior Dog Food features higher protein levels from richly nourishing free-run chicken, nest-laid eggs and whole wild-caught flounder. To promote healthy blood sugar levels, ACANA Senior replaces fast carbohydrates like tapioca or potato with low-glycemic fruits and vegetables such as pumpkin and squash. 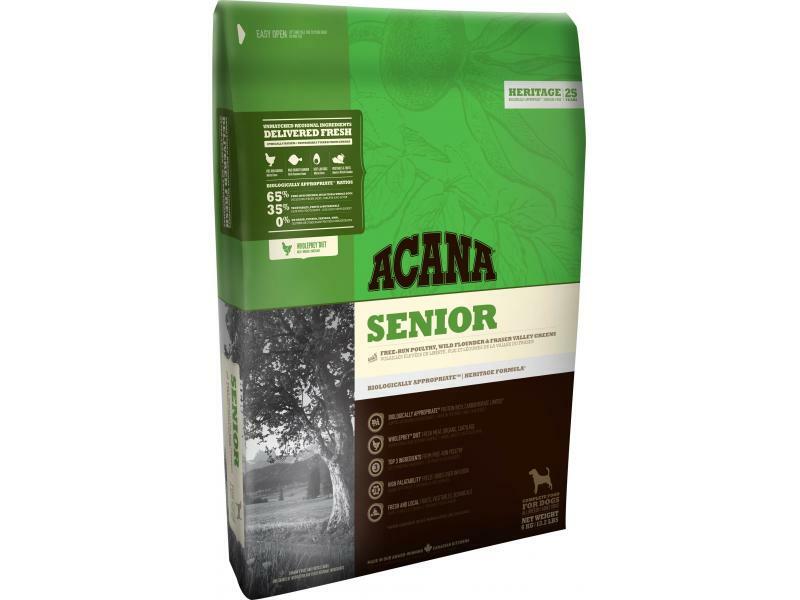 There are currently no questions for Acana Heritage Senior Dog Food - be the first to ask one!